US actor and acting coach Anthony Meindl will give an acting workshop in Dublin next month, in association with the Gaiety School of Acting. The actor, who uses mind body language techniques, will host an all-day Intensive Actor Workshop, in which he’ll assist actors who let fear, nerves and hesitation get in the way of a perfect audition. Meindl will aid participants to develop new ways to infuse their work with creativity and leave the audition room felling empowered and satisfied. Students are expected to learn to stop worrying and leave their nerves and fears behind. 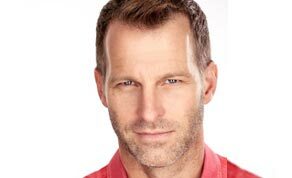 Meindl is the founder and artistic director of the Anthony Meindl’s Actor Workshop, based in LA, New York, Melbourne, Sydney and London. Some of his acting clients include Golden Globe-nominee Shailene Woodley (The Descendants), Chace Crawford (Gossip Girl), Trevor Donovan (90210), Cory Monteith (Glee) and Ashley Greene (Twilight). As an actor, he has appeared in TV series such as ‘Hard Hat Harry’ and ‘Will & Grace’, and films ‘Death of a Saleswoman’ and ‘Birds of a Feather’.